All three titles in the Lonnie Squires Mystery series are available in one bundle. 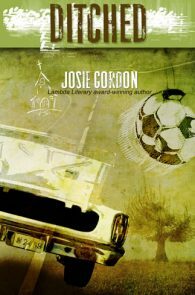 Whacked Josie Gordon’s first Lonnie Squires mystery showcases her whacked sense of humor and a wicked talent for observation of small town life. Hang on to your Olliebollens, because this story isn’t over until the klompen dancers kick! Toasted Sleuth Lonnie Squires once again discovers that doing the right thing can go very wrong. This second title in the Lonnie Squires Mystery Series combines culinary mayhem with big politics in a small town. 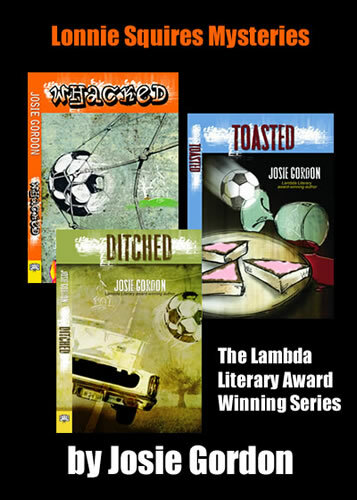 Ditched joins Toasted and Whacked in this Lambda Literary Award-winning mystery series from Josie Gordon. Cover Designer Kiaro Creative Ltd. This series features a lesbian Episcopal priest, and as humanly flawed as any of us. If Lonnie Squires had a choice, she'd prefer to be on the soccer field than in church. All books in series are true cozys - long on personality and wit, short on gore and sexual situations. 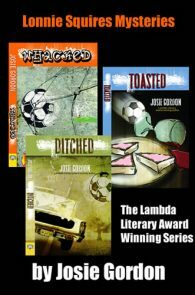 Read the appetizer for the latest book in the series, Ditched! Click to open a PDF in a new window. October, 2010: Reverend Lonnie Squires [is] easy to relate to, and we want to root for her as she struggles with her own faith and with leading her flock... That this is a series with a likeable, entertaining sleuth is refreshing.